Sabah Politics 101. Pakatan Rakyat is an exclusive pact of three Peninsular-based political parties so it's not such a surprise that their "Sabah for Sabahans" slogan, which Anwar Ibrabim was hoping would drive the Opposition in Sabah against the incumbent BN state government, is starting to work against Pakatan itself. In fact, the Opposition parties in Sabah seem to be painting the Peninuslar Pakatan as a potential threat to their own progress! Read The Malaysian Insider's Deadlock Likely in Sabah Opposition Seat Talks. Things are about to fall apart for the Peninsular pact. The Pakatan Rakyat's leaders need to understand that they won't get even a toehold in Sabah unless they put into practice their "Sabah for Sabahans" rhetorics and let the local Opposition parties lead the charge come PRU13. DAP, PAS and PKR can't expect SAPP, STAR, USNO and the many other Opposition parties in the state to play dead just or play minor roles just because they say so. Sabah is key to Pakatan Rakyat's hope to take Putrajaya. Anwar Ibrahim knows the Sabah bigwigs from the time when he was the all-powerful Deputy Prime Minister from UMNO and he knows that it is he now who must play ball with these people, not the other way round. dulu kau ada helikopter boleh la kau tabur duit. sekarang kau tak da helipkopter, duit pun tidak ada, apa kau mahu tabur? Mamakthir was the one who authorised Project IC where now the state is flooded with Mindanao Filipinos and Kalimantan Indons. Of course he had his Sabah cronies who sold out their state. This will be the biggest issue in Sabah. Latuk, your boss promised the Sabah federal ministers that there will be an RCI on the immigration issue, but at the last minute your boss chickened out. Silly man, your boss. How can you have an RCI on Sabah immigration when the old puppetmaster Mamakthir is still alive ? Kalau masih nak sibuk, apa salah UMNO dikekalkan juga? You've made a good point which has crossed my mind too about why the BN keeps on winning. The BN is a coalition of 14 parties, including Sabah & Sarawak parties, while the Pakatan is a coalition of three Peninsular parties. 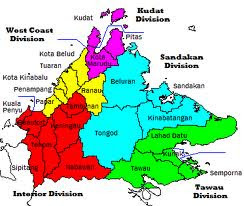 If Pakatan is wise, it would expand to include Sabah & Sarawak parties as well but to expect Sabahans & Sarawakians to vote for Peninsular parties over their native parties is wishful thinking. While the DAP may have made some gains among urban Chinese in the last Sarawak elections, winning the majority of seats depends on the votes of native Sarawakians (and Sabahans), which is why despite all the talk about Taib's alleged wrongdoings, propaganda efforts via channels such as Radio Free Sarawak, etc, the natives of Sarawak still voted Taib in. The Star group by Jeffery will make an impact....ini lah dark horse ! Mamakhir ordered Al-Jubur Anwar to start Project IC ma. He asked Anwar Al-Jubur to give money to them all after Anwar Al-Jubur them. No RCI no RCI.......Anwar said that. Many many times ma. Puppetmaster Mamakthir told Anwar Al-Jubur to do like that ma. Well, Bru, "fixed deposits" give lousy returns, unlike, say, bonds or perps. Perhaps the "FDs" need to be cashed before their value is eroded by "inflation".